Posted bymytechmanager_njccno	 February 6, 2019 Leave a comment on What Makes a Good Logo? It’s easy to understand the value of a logo. Think about taking a long car trip: You and your friends are searching for a spot to stop and eat. You’re tired, hungry and craving a hamburger. After miles of open road and few dining options, you find the iconic McDonald’s golden arches. For many, just seeing the McDonald’s logo evokes feelings of happiness and excitement. The same goes for sports fans and their relationship with Nike. When sports junkies walk into a mall and see the Nike swoosh, they don’t just think about athletic wear – they see the logo and immediately conjure up images of the world’s best athletes competing with the Nike logo on their chest, sleeve or shoes. The value of a logo, especially as your business gains a strong reputation in a community, can be massive. There are several factors that make Nike’s logo more memorable and iconic than other brands’ logos, but focusing on the three elements above gives your business a starting point in the logo development process. It’s important to note that a good logo doesn’t make up for subpar products, services or customer support. You can’t sell subpar shoes and make up for it with an exceptional logo. Nike’s products please customers. It’s the phenomenal branding combined with suitable products that separates Nike from competitors. It might sound counterintuitive, but a memorable logo is a simple logo. There are varying degrees to logo simplicity, but the logo must be readable and easy to understand. The McDonald’s arches and Nike swoosh are easy on the eyes, while the more complicated logo for the 2012 London Olympics drew intense backlash for doing too much. If you’re paying a design firm or spending time designing a new logo yourself, it can be easy to go overboard. It’s best to avoid that temptation and keep your logo simple. Nike’s logo is simple, but conveys motion and represents the wing of Nike, the Greek goddess of victory. Your business’s logo doesn’t need to be complicated to share an important meaning. Less can be more. This trait ties in with simplicity. A simple logo is easier to use on different marketing materials than a complex and intricate design. Apple, McDonald’s and Nike all feature simple logos that look just as good on giant signs as they do on pens. Putting a detailed and wordy design on a banner might work fine, but what happens when you move to smaller marketing materials like stickers? It’s also worth considering the different mediums of advertisement you might use. 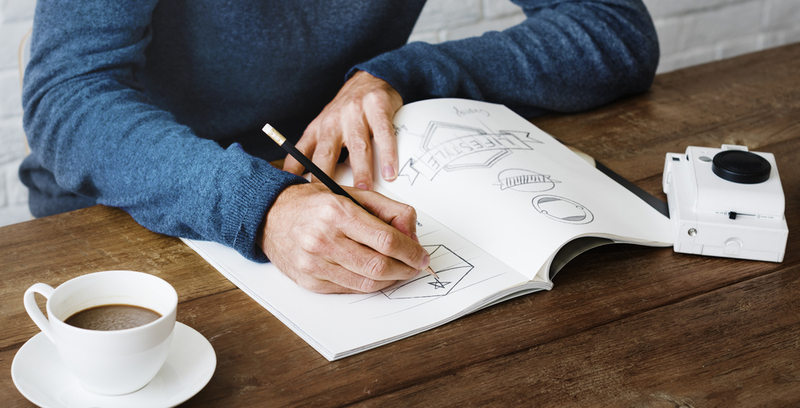 Will your logo translate well from your website to a magazine? What about from a postage stamp to a full-page ad in a newspaper? If your logo only looks good in a few specific use cases, you have a problem. If your logo isn’t versatile, it becomes increasingly difficult to get the logo in front of people. Logos that lack versatility are significantly worse than those that can be used in different forms. Make sure your business doesn’t lose out on brand exposure by creating a logo that’s overly complicated and lacks versatility. “A good logo is simple, memorable, versatile and easily recognizable, but most importantly, a good logo supports your brand identity and who you are as a company,” Derks said. This doesn’t mean your logo needs to contain your products. Jaguar doesn’t sell live jaguars. Using an image of a jaguar does match the brand’s name and exudes a sense of elegance and speed that Jaguar wants people to feel when they drive its cars. FedEx doesn’t sell colored letters, but the use of white space in its simplistic logo creates an arrow, which emphasizes the company’s action of transporting goods for customers. If your business sells upscale clothing, use a color scheme and design that exemplifies elegance. If you’re a fast-food chain, use something that represents the core concept of your business. Burger King includes a hamburger in its logo to emphasize its specialty, while In-N-Out Burger uses a zigzag symbol to create motion and accentuate the “fast” in fast food. These businesses have built their reputations over many years, and their logos help boost that reputation by staying true to who they are. There isn’t a one-size-fits-all approach to designing a logo, but there are a few key elements that define the best logos. To create a good logo, focus on simplicity, versatility and authenticity. If you can check those three boxes, you’re well on your way to creating a dynamic logo. The value of a logo is clear, and small businesses and startups need to make sure they prioritize the importance of creating a good logo.